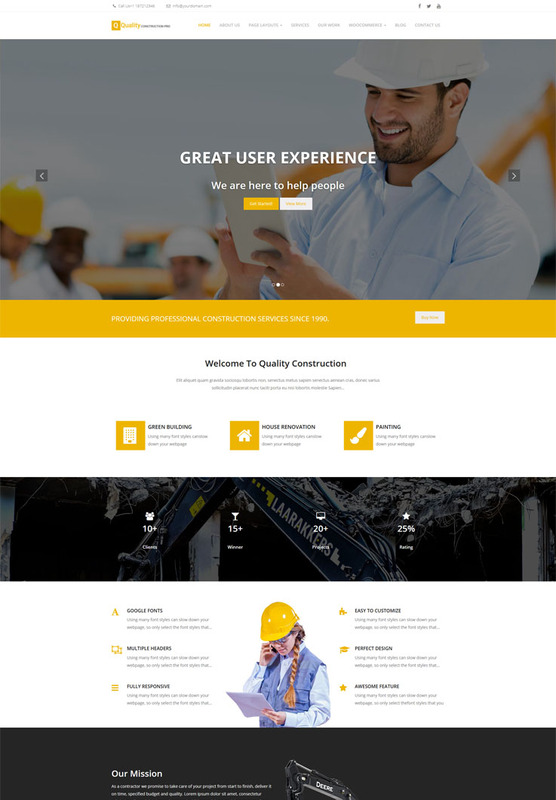 Quality Construction is one of the best, modern, easy to use responsive Free WordPress themes with colorful design and stunning flexibility. 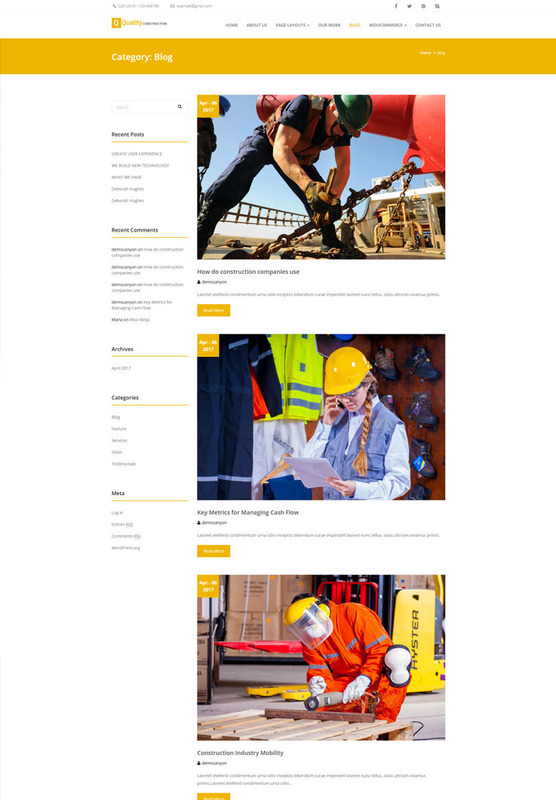 This theme is capable of tackling the overall needs of all construction websites including business and others. 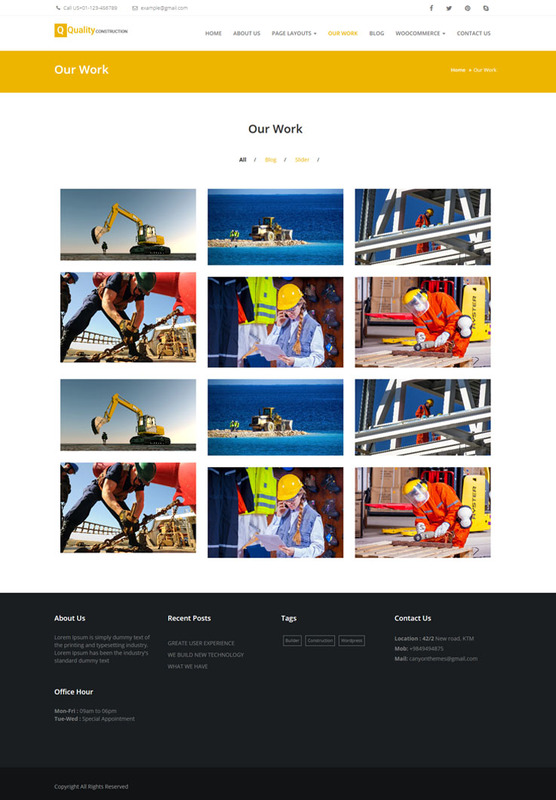 Quality Construction can also be used for business and corporate websites. The advanced theme options and available various widgets with drag and drop features will help to customize your site as your need. Some of the available options are awesome slider section, header options, footer options, layout design options Color options, widget options, custom copyright options integrated social icons using menu, reset color option and lots of other available options will allow you to create unique website as you want. This theme will help you to create very high quality construction website easily with no time at all. You have Separate and Unique Design of 404 Page.